Is a white Nexus S the next white iPhone? It’s a white… Nexus S! Sure, we know, the never-ending hype surrounding the mythical white iPhone has peaked again this week. But in more concrete musings over phone hue, we’re hearing that Google’s Nexus S will be available in white. Well, mostly. 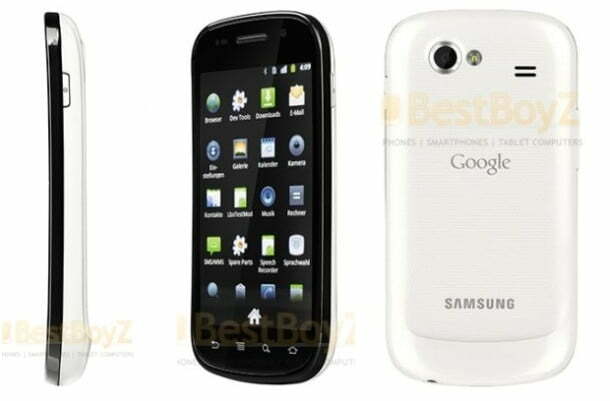 The German site BestBoyZ (which is a legit mobile news site, we promise) has posted images of a dual-tone Samsung Nexus S. The front remains black, but the back now features white casing. The blog claims the model will be released in Germany soon, and while there’s no speculation about its stateside release, we can’t imagine it’s terribly far off. Recently, Boy Genius Report spotted two retailers that had slipped white iPhone listings into their systems. Both AT&T and Best Buy had the fabled phone in their inventory and employee toolkit, respectively, and BGR estimates that it could be on shelves in late February or March (which is what we heard last month). But if the anticipation of the white iPhone alone isn’t enough to sustain you, then start fixating on the two-tone Nexus S.